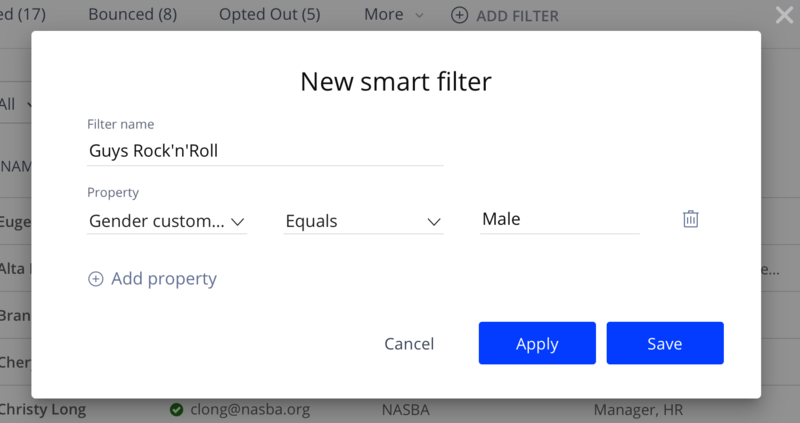 In the Property field, select Gender custom field. Select the Equals Male condition. Save the filtered results to a separate list or move them to your campaign.